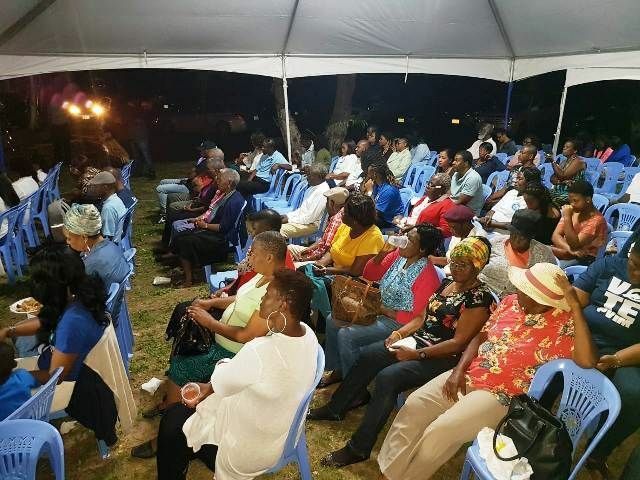 You are here: Virgin Islands News Online » News » Hon Skelton fires back: "I left with my intellectual properties"
Hon Skelton was last night, January 13, 2019 speaking at Brewers Bay and was responding to Hon Walywn’s assertion that he was in fact taking credit for NDP successes and not his own. The night was Second District Representative, Honourable Melvin M. Turnbull aka Mitch's annual Party and State of the District Address where Hon Skelton and another NDP defector Hon Archibald C. Christian(AL), were present, addressing the people of the District—lobbying support for PVIM. On the very platform, Hon Skelton also confessed to leaving the NDP after failed efforts to ascend to the position of Party Chairman at the internal elections Mid-2018. Although only announcing a slate of seven Candidates, Hon Skelton is confident the PVIM will be having more soon. 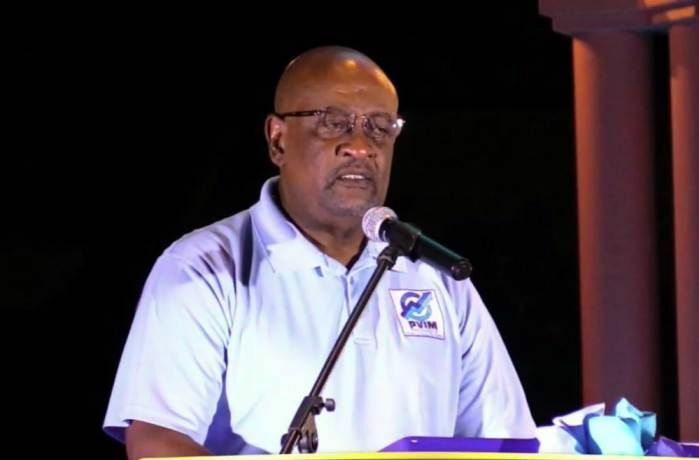 Further blasting the NDP—of which he is a founding member—Hon Skelton charged that the current NDP is getting the people of the Territory caught up in the minor things, while there are major difficulties facing the territory. He commended his team of Candidates who left high paying jobs to fight for their country. According to Hon Skelton the backbenchers of Government and Opposition members attract a salary of $36K annually. 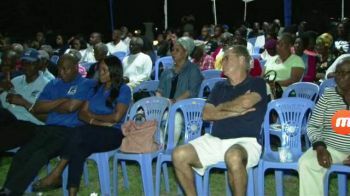 He also debunked the notion that the PVIM is an exclusive club putting Virgin Islanders against Non-Virgin Islanders. “They need to stop,” he said, calling it an attempt to put enmity between him and boyhood days to present day friends for political gains. You giving VIP a chance? VIP had over 30 years in office to run this country. Enough is Enough!!! I agree. They had their time. Seems like these voters have amnesia. Fahie stole money too. Thank God you don't represent the majority of right thinking people in this country. People listening and not saying a word. Not a good sign for NDP. But those same people know that VIP won't get the job done so what a predicament. So you agree, that we will put Yellow up for Premier. And look at the majority of the things you mentioned. They were under Ronnie Skelton's leadership. The projects were completed on time, on budget and without investigation or corruption. Check the others, the wall (Myron), the cruise pier (Mark), BVI Airways (Premier)....I hope you all now see why Ronnie decided if I can't lead you guys to do better, I won't continue to be apart of you while doing crap. So because the party was that terrible he ran to be the chairman? And wasn't it his intellectual property with the 7.2m airline fiasco? Oh I forgot, anything good under the NDP administration is Ronnie's Intellectual property but the failures were someone else's shortcoming. Bravo Ronnie! Good job! No delusion. He agreed to brining BVI Airways. Nothing wrong with that. It is now they administered the contract that became the problem. The Premier and his gang took it and next thing you know, disaster. If Ronnie had that, would not have happened for sure. Ronnie can just get stuff done. That's it and without scandal or investigation. I WANT ENGLAND TO TAKE OVER MY COUNTRY. NOT ANY OF THESE CROOKS. GOVERNOR DO SOMETHING FAST. Ronnie did not do all this without the following ministries being involve let me educate you the ministry of communication and works public works must play and important role when it come to engineers, surveying and approved plans, ministry of finance who will approve the moneys being spent the premier and lastly the ministry of natural resources and labour to ensure that the enviroment is being protected and thr development is safe. This is not a one man show Ronnie ministry could not execute this on his own. All the rest of them had the same support but their projects still in shambles, corrupt and investigated so what's the point. You can only get things done without all the extras if you do not have integrity and you do not have the intelligence to direct the path. So, that is a great testimony all by itself. Do you always get everything right. The point is he continued until he got the job done and he did. Dear Mr. Skelton please do not repeat that intellectual property line to anyone anywhere. Fact is you could have gained no intellectual property while a part of Cabinet. See, the simple fact is that the Constitution and not intellectual property law is what governs formulation of policy and implementation of that policy. Collective responsibility means that you CANNOT take credit for any projects which were executed while you were Minister of Health, that credit goes to the entire Cabinet (and quite rightly so). By the same token, dear Leader of the Opposition, you CANNOT distance yourself from failures such as the $7.2 million for BVI Airways and the over budget, not yet completed pier park, or indeed even the ESHS wall. You are collectively responsible for the successes of the NDP administration and also the failures. Oh and by the way, collective responsibility holds you responsible for implemention of projects and not just formulation of related policy. So stop treating the voters like we're ignorant, we are not!